Home. The Home tab includes commands for formatting presentations. Insert. Use the Insert tab to insert tables, clip art, pictures, links, headers and footers, and more. Design. Use the Design tab to change your page setup, slide orientation, fonts, background styles, and more. Transitions. Use the Transitions tab to add transitions to a slide and to customize transition effects. Animations. Use the Animations tab to add animation to text in a slide and to manage the animation order. Slide Show. Use the Slide Show tab to finalize the slide show details, timings, and more. Review. Use the Review tab to check spelling, to collaborate by adding comments, and to access editor tools. View. Use the View tab to access the various presentation views, to show and hide the ruler and grid lines, and more. Help. Use the Help tab to access resources to help resources and provided feedback to Microsoft on any issues or problems. Note that the File tab is not a typical tab. The File tab takes you to the Backstage view where you manage, rather than make changes to, your document. The Backstage view is covered in the next lesson. Commands are controls that enable you to accomplish specific tasks, such as bolding text, adding a list, inserting a picture, or adding slide numbers. Watch and follow along as your instructor walks you through the Ribbon and points out some of the groups and commands located on each tab. The new Tell Me tab on the Ribbon is a shortcut to actions in PowerPoint 2016 and 2019. 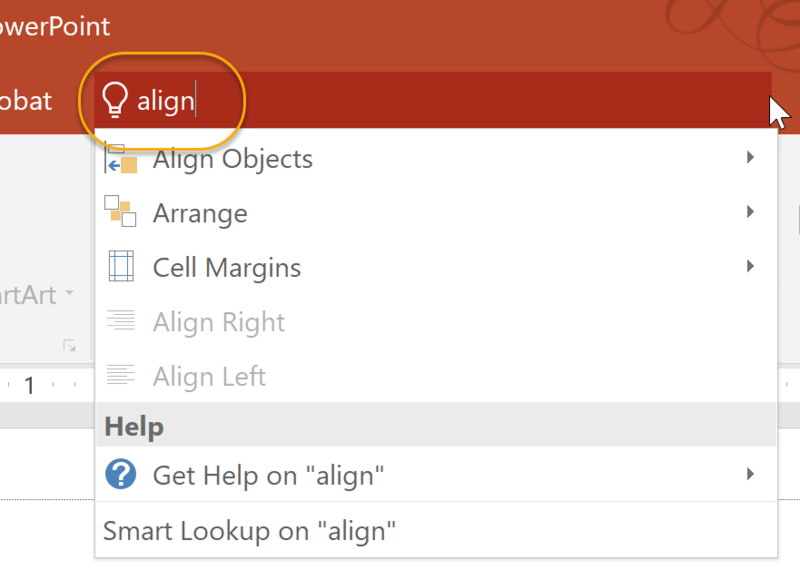 Click on Align Objects and then select Align Center. The Ribbon is the display you see at the top of the Microsoft PowerPoint window. It is your primary interface with PowerPoint. 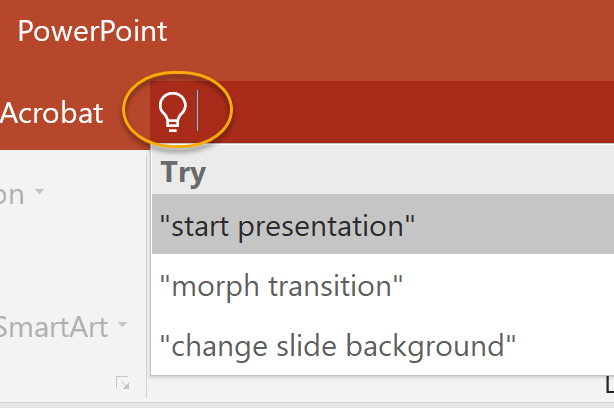 It allows you to access most of the commands available to you in PowerPoint. The Ribbon is composed of three types of objects: tabs, groups, and commands. What is another name for the File tab? If your installation of Microsoft PowerPoint has been customized, some of your answers may differ.